Have an idea you want us to build? Post it here, now granted we might already have something in the works, so do not post it, and later go that was my idea ! A really scale winch. Powers !!!!! Scale 2.2 and 1.9 wheels I think that already in the works. 4.5" OR 4" SLW'S for the super class rigs! we need some thing in the middle, between cheap and rediculous. and i second the vote for a scale wheel. and not a blingy SEMA or mall crawler style. Faux diff covers for Axial axles. Preferably in a raw steel so they can rust or even brushed aluminum, or ARB style like those other guys. Can't believe no one has made these yet....so many naked scx10s out there and money to be made. 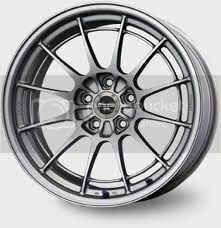 im in wheel mode right now, what style hasn't been done, seems all the steel style with 8 or 10 holes is played out to me. a cvd run is planned, we just have to get in that mode. Last edited by tom@vp; 02-22-2011 at 03:42 PM. I've never seen an internal beadlock American Racing Outlaw II style wheel, it's a staple of off road racing. Knuckles with built in slug holders I don't care if they just fit your wheels, having the ability to add 4 ounces of nonrotating weight would be sweet without having to go to two different vendors. Adjustable width SLW's. I have an idea in my mind on it can be done, and still keep the weight down. PM me, and I can draw up a rough sketch if you're interested. Theres a vendor making add on beads to adjust the width. Some people like to support just a select few vendors! More 3 piece wheels with the beadlock ring on the outside and the biggest id as possible to make room for knuckle weights. +2 Im looking to do this mod on my berg knuckles with LH slugs. Maybe the LH weights will fit on the knuckles inside the wheels...? Id like to see up to 6 slugs per knuckle. 1.9 SLWs for the MRC in all versions!! !